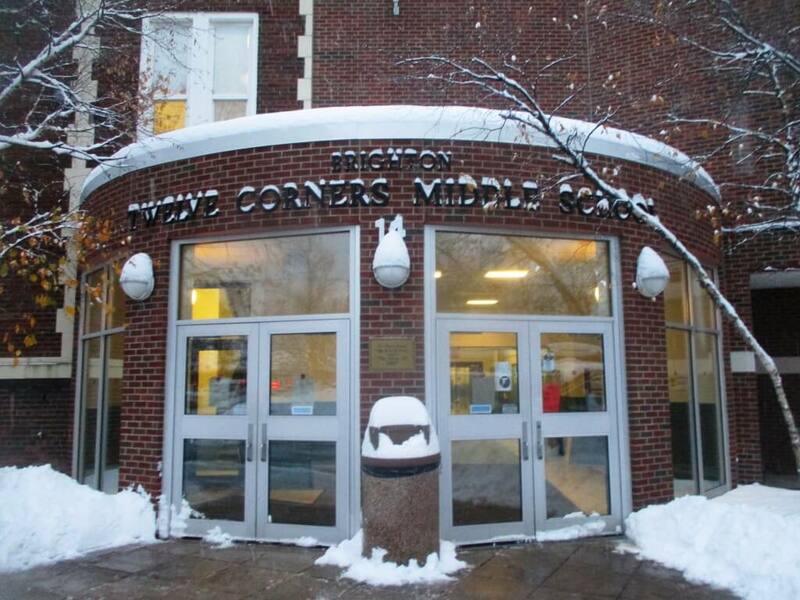 This week I was a Physical Education substitute teacher at the Twelve Corners Middle School in Brighton. 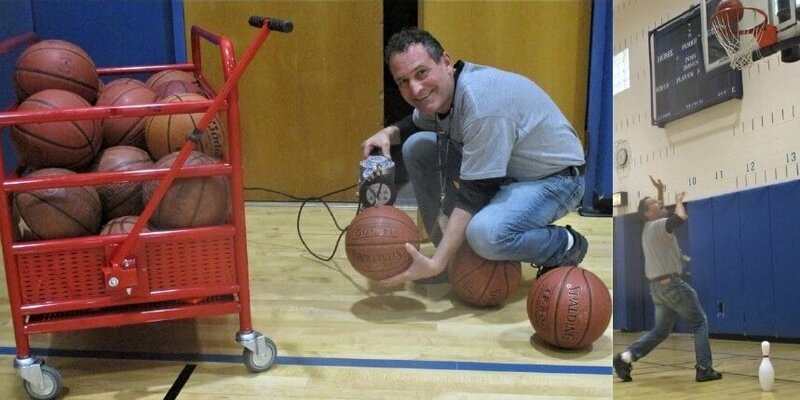 I played more basketball than in many years and used the Power Inflator to revive more flat basketballs than ever before. I invented a game where you place a large plastic bowling pin underneath the basket, trying to both score and knock the pin down. I directed the King of Kings Tournament on the last day of the Wrestling Unit where tie matches are adjudicated by Rock, Paper and Scissors. I graduated from TCMS but it was at least several decades since being back in the building. Almost everything had been updated, but there were some blasts from the past. 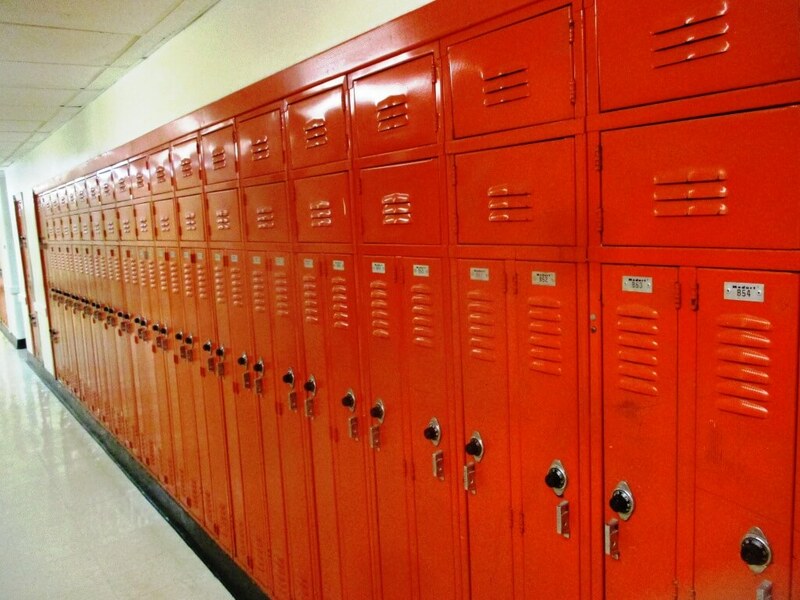 I found my old orange locker in the basement, no longer in use. 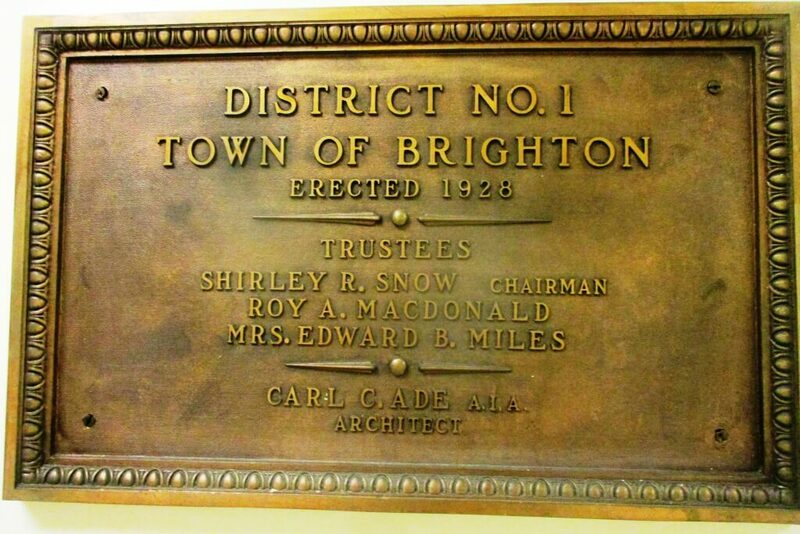 The original plaque from the dedication of the school in 1928 is still in the 6th grade corridor. Old lockers in the basement. Mine was #854. The combination was 04-01-18. 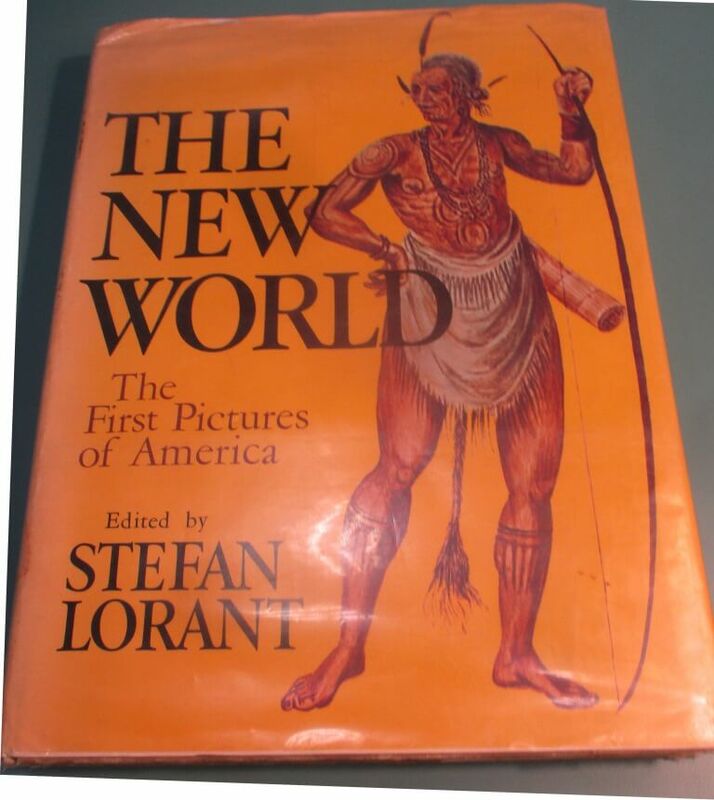 The New World: The First Pictures of America (1965), Ed. Stefan Lorant. 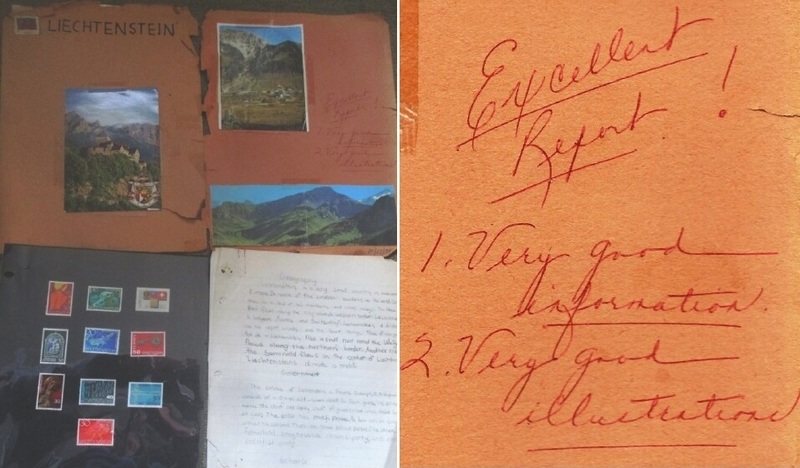 After seeing the book, librarian Katie Lambert may revisit its inclusion in the collection. First published in 1946, the book may represent history in ways now considered inaccurate and outdated. The library still holds The New World: The First Pictures of America (1965), the oldest book in its collection, acquired in 1966, that I probably read for Mrs. Heyer’s class. The format and look of classroom projects has changed. In 1974, Mrs. Heyer asked us to write a report on the country of our choice. Mine was Liechtenstein as our family had visited the Grand Duchy the summer before. 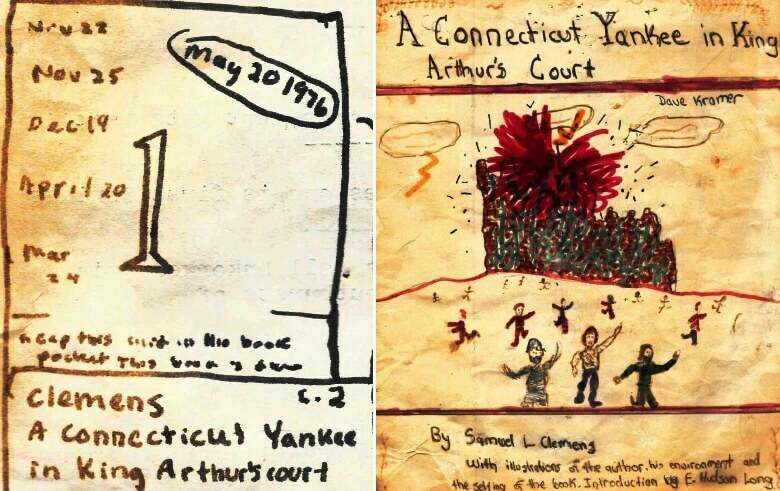 The result was very much a product of the analog age: facts taken from print encyclopedias and handwritten on lined paper with illustrations taken out of National Geographics stored in bins at the town library and then taped onto crepe paper. Despite what might today seem a shoddy production, Heyer’s comments were justified. Two people can’t get enough of Twelve Corner’s Middle School. Principal Rob Thomas and Physical Education teacher Ella Schultheis graduated from Brighton High School in 1979 and attended TCMS. 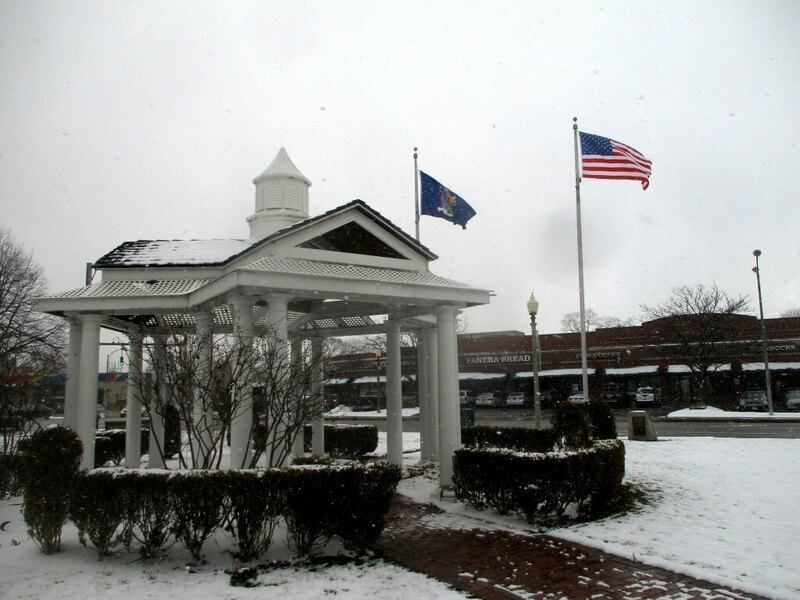 After a few detours and interludes, Rob and Ella found themselves back at the intersection of Winton, Monroe and Elmwood. (l) In his office mailbox, Principal Robert Thomas taped his photo from the BHS yearbook Crossroads, 1979; (c) Rob today; (r) Ella Shultheis in the gym, a woman of many talents. 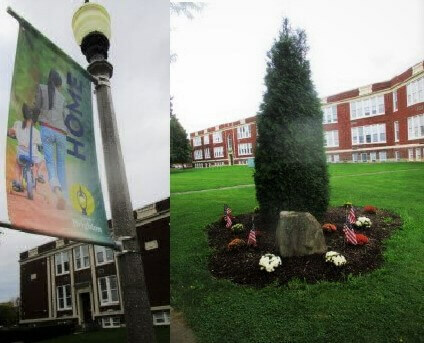 As seen in Young citizens show their mettle at the Brighton High School Walk Out, two Fallout Shelter signs are still displayed on the Winton and Monroe sides of the school. Technically, TCMS is still a shelter with a capacity of 225. Back in the 1970’s, we lived under the threat of nuclear warfare. 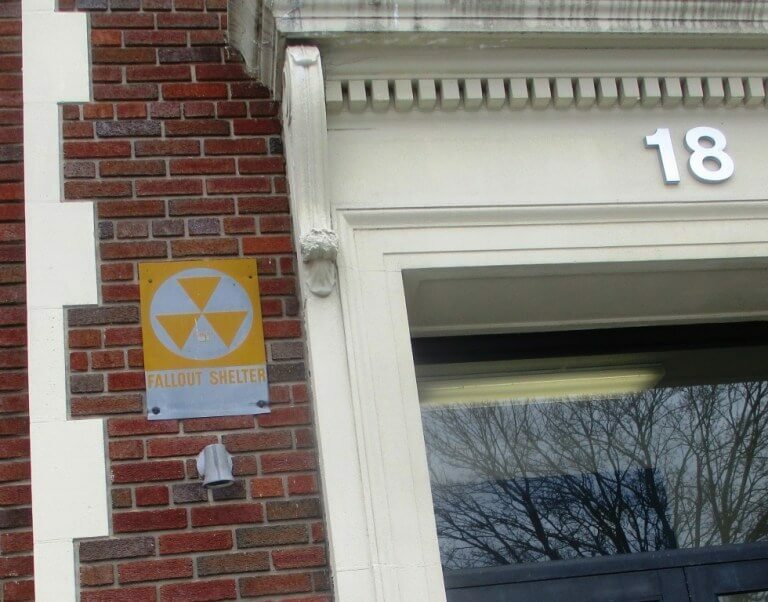 I was too young for “Duck and Cover” but knew the school had contingency plans for a nuclear attack. Ella distinctly remembers drills where students sat in hallways. 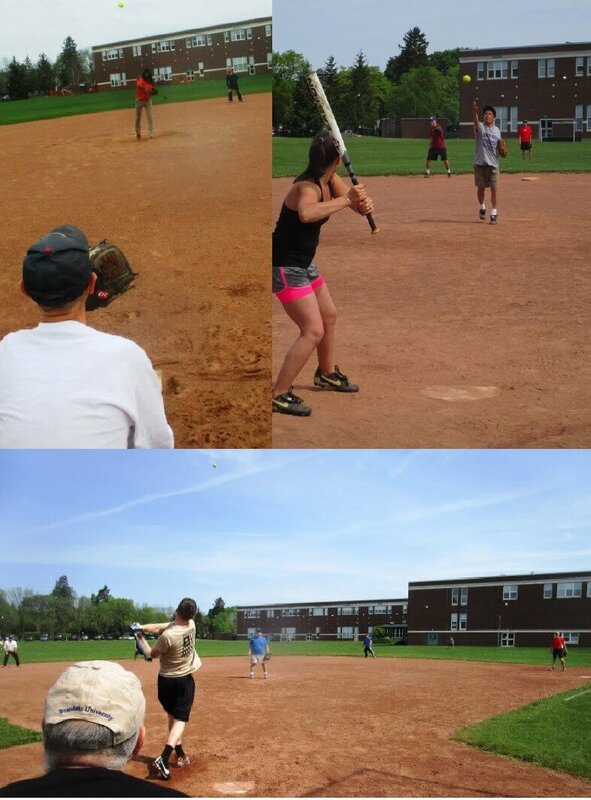 The students did not really understand the purpose, but the experience caused palpable anxiety. In High School social studies, we learned about nuclear winter and how humans would not survive an atomic apocalypse. In A.P. English we watched Dr. Strangelove. In the High School library, I read On the Beach about the last days of civilization in Australia following nuclear Armageddon. At the same time, as fearful as was the nuclear threat, it somehow felt abstract. Unlike the “Columbine Generation,” we never had active shooter drills. Did your locker open after using the combo? Hmm, look at the combo number more closely. 04-01-18. April Fool’s!